At our company we understand that once the building work is over, all you want is for all the filth and grime to disappear. Dealing with such a job can be very time-consuming and labour-intensive, which is why it is best to leave the job to us. More than anyone else we know how to handle your problem. Our after builders cleaning service in Wandsworth SW18 was designed for this. We provide post-construction cleaning at reasonable prices. It has to be said that we achieve wonderful results and we work really hard to fulfil your requests. We are at your disposal from Monday to Sunday just in case you need our company. Get in touch with us. 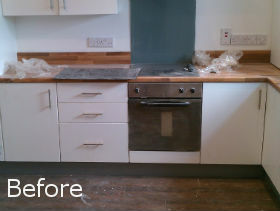 What distinguishes our after builders cleaning service in SW18 Wandsworth from the rest is that we maintain high standards of performance and always obtain the desired results. We leave properties shiny and immaculate. We provide a healthy living environment for homeowners. 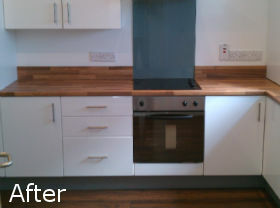 We take pride in our after builders cleaning system in Wandsworth. It is very effective. It is designed to target those areas of a property that are typically affected by refurbishment, such as floors, window frames, walls, worktops, etc. Most of the cleaning problems have to do with paint all over skirting boards, window frames and light switches, dust all over the place, cement plaster on window frames, stains everywhere, etc. Renovation is a lot of work. It is very tiring as well. The last thing you want to do after the builders leave is to give the premises a thorough clean and scrub difficult stains. This is where our service comes. You can lean on our company for this tough job. We promise to achieve fascinating results. Don’t be afraid to contact our office operators if you’d like to get more information about our service. We will be happy to tell you more about us. Call us.